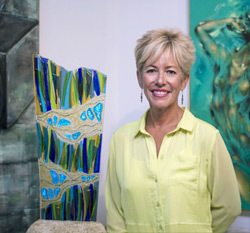 Vetro Glassblowing Studio & Fine Art Gallery is spotlighting Cathy Shepherd as a magnificent fused glass artist. 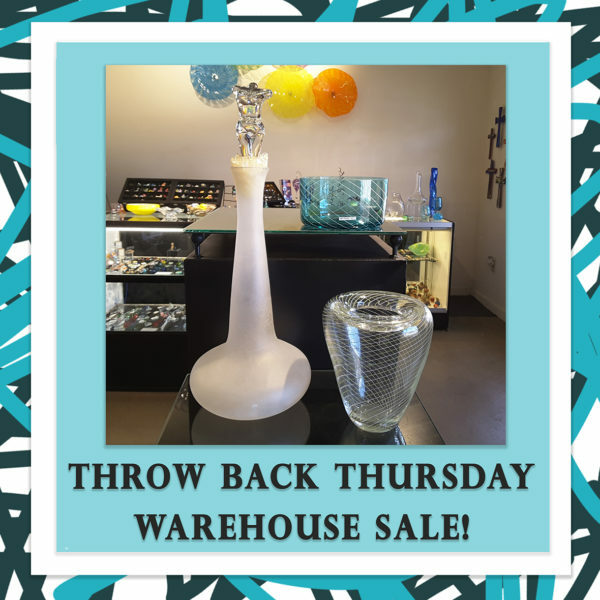 We searched through social media, client referrals, personal referrals, business referrals, books, magazines, art shows and several other random places around the U.S. to bring in the best glass consignment artwork! Vetro is excited to showcase Cathy Shepherd glass artwork to all of our gallery visitors here in Grapevine Texas!!! Book your holiday Teambuilding event today! 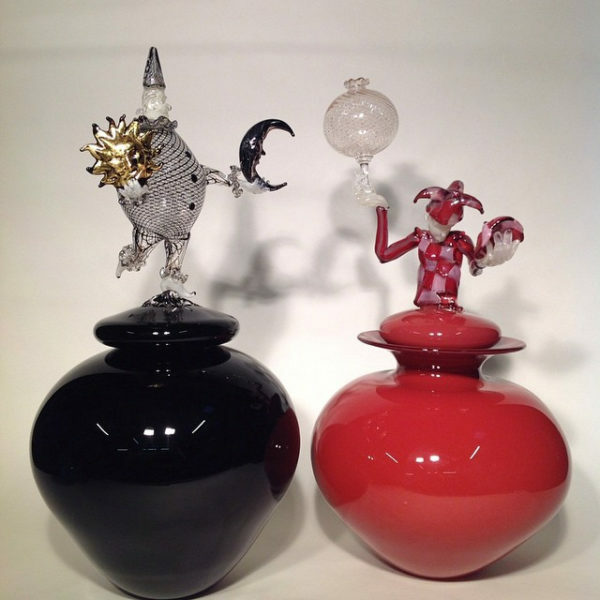 Join Vetro for an extreme holiday Teambuilding Event and receive a FREE gift of Glass Art! 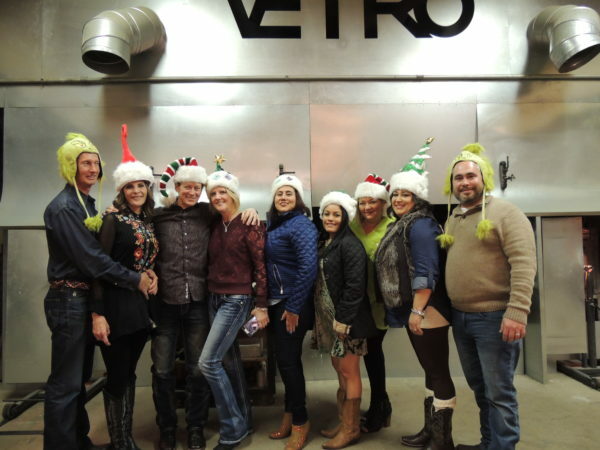 Vetro’s Teambuilding events create an exciting and engaging holiday experience for your employees! While we know the primary focus will remain being the acknowledgement of your staff and all the amazing work they’ve done, Vetro will also turn the party into an opportunity for networking and team building. David Gappa shares the creation of this amazing Handblown Glass and steel bra designed specifically for “Bras for a Cause”. All proceeds raised go directly toward Breast Cancer Research. A big thanks to Will Frary (Grapevine Blacksmith), Spencer Crouch, Eric Bernardi, Lou Romano and Shannon Shumate for making this Glass creation happen! Local firefighters will take on a whole new challenge by walking the runway to promote cancer education and early detection. Vetro Glassblowing Studio & Fine Art Gallery is spotlighting Jolanta Mozdyniewicz as a magnificent Stained Glass artist! 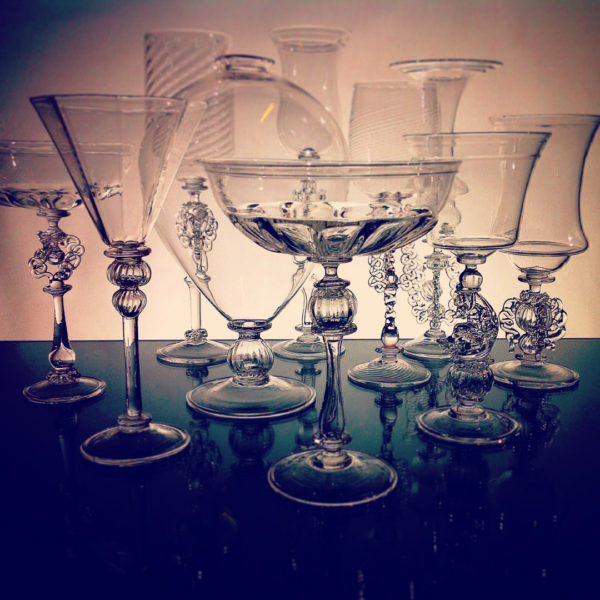 We searched through social media, client referrals, personal referrals, business referrals, books, magazines, art shows and several other random places around the U.S. to bring in the best glass consignment artwork! Two years ago we meet Jolanta during GrapeFest as a street vendor artist. At the time Vetro was not selling Stained Glass art work. When we met Jolanta we instantly new we wanted to have her as a part of our consignment team! Vetro is excited to showcase Jolanta Mozdyniewicz glass artwork to all of our gallery visitors here in Grapevine, Texas!!! Help Create Pumpkin and leave with a treat!!! Ignite your Teams creativity this holiday season! 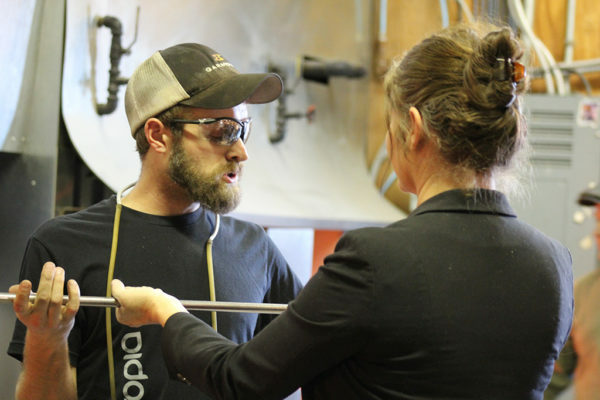 Vetro exposes our glass patrons and community-at-large to an innovative, influential, glass artist, Aaron Tate! 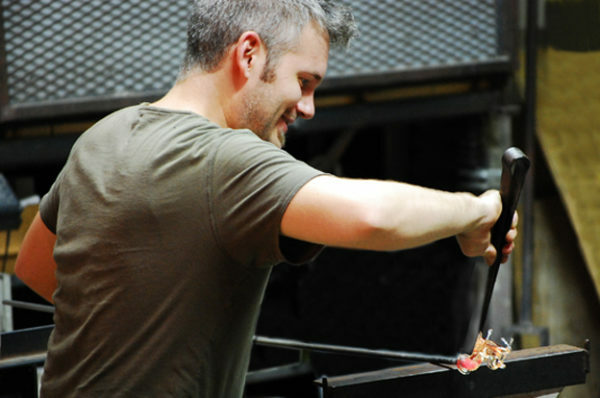 Arron Tate will be holding demonstrations at Vetro Glassblowing Studio during GrapeFest from 12:00p.m. – 5:00p.m. Saturday, September 15, 2018! Throughout his early and then professional years, Tate produced volumes of fashionable decorative art pieces, interior design fixtures, and functional ware. 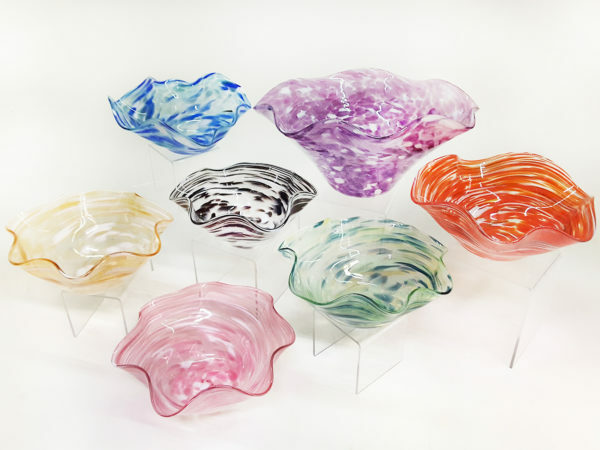 These were created with a notable versatility that would transcend any specific decorating style, and would contribute to his success as a sculptor in solid worked, blown, and cast glass. Aaron Tate forms his sculptures in recognizable images of humans and animals. His designs include natural subjects, made objects, and landscapes. He has developed a style in which the juxtaposition of images is often beautiful or classic and yet enigmatic. By the use of a repetitive light and dark technique superimposed on the surface color, he is able to affect an atmospheric quality to sculptures already suffused with symbolic purport and historic connections. The return of the overall structure and intricate detail is the viewer’s interpretation of the work and to link the art, the artist, and the viewer’s self. Here at Vetro Glassblowing Studio & Fine Art Gallery, we are excited to feature this remarkable guest glass artist during the 32nd Annual GrapeFest. Please be aware that there will be an admission fee and Vetro is not able to wave that fee or allow guest to come into the gates for free! Please visit http://www.grapevinetexasusa.com/grapefest/ for further details related to GrapeFest tickets. Has your new home or office sparked a sense of creativity within you? 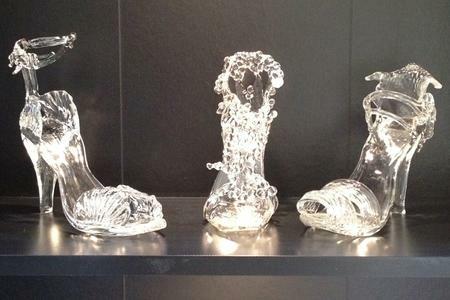 Need to add character to your space or a unique glass piece to tie everything together seamlessly with your style? Vetro is the home of hundreds of handmade, one-of-a-kind products that are creatively designed. We have decorative art pieces and accents art pieces, such as rondels, vases, lighting and more! Vetro can help to solve these practical problems inexpensively with our summer warehouse Throwback Thursday sale! It’s time to get rid of all the Throw-Back Art glass to make room for the new styles coming this fall! June, July, and August watch out for selected Thursday’s that we will showcase up to 4 special pieces. Each chosen art glass item will be markdown 50% for that week only! This sale will accompany our already ongoing summer liquidation sale. Come out anytime Tuesday – Saturday 10am – 5pm to find your unique glass art! Last chance to catch an awesome deal on some breathtaking decor!!! Today we are featuring these 3 pieces 50% OFF!! !